MGX Minerals Inc. (OTCQB: MGXMF) (CSE: XMG) is pleased to provide an update on the Company’s Paradox Basin Petrolithium Project (the “Project”). 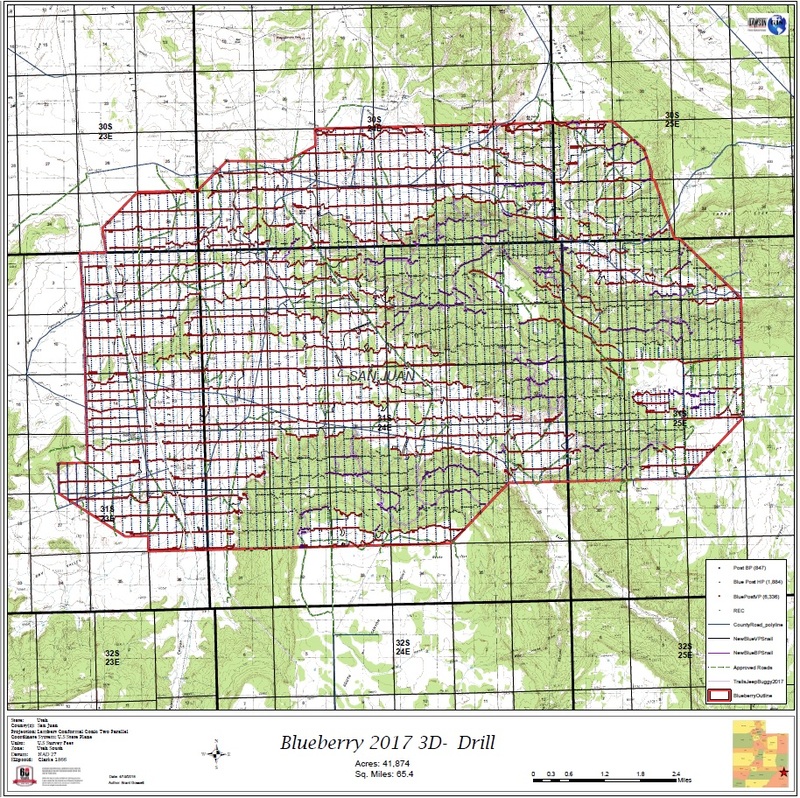 The Project includes the 80,380-acre Blueberry Unit, a recently unitized Federal Oil and Gas Unit created as part of the Project. After approximately two months of fieldwork, crews have completed Paleontology Surveying and are nearing completion of the Archeological Survey. To date, all locations have been surveyed out with a total of 163 new sites located along with 12 sites that need redocumenting. Documentation recording for the survey will begin this week and take approximately one week to complete. Pending Bureau of Land Management approval, a Seismic Survey at the Paradox Project is scheduled to commence in early August. The 110,000 acre Paradox Project represents the first large-scale integrated petroleum and lithium exploration project in the United States and is located proximate to the Lisbon Valley oilfield within the Paradox Basin, which has shown historical brine content as high as 730 ppm lithium (Superior Oil 88-21P). The Project is being simultaneously explored for oil, gas, lithium and other brine minerals as part of the Company’s North and South American exploration, testing and analyses strategy to determine locations for deployment of the Company’s lithium and mineral extraction technology inclusive of Petrolithium, geothermal, and other lithium brine feedstock sources. MGX controls over two million acres of lithium mineral claims throughout North America. MGX is currently earning a 75% working interest in the Project, with the remaining interest primarily controlled by a private Utah corporation (the “Paradox Partner”). The Paradox Partner has been engaged by MGX as subcontracted operator of the Project. The Project is host to National Instrument (N.I) 51-101 estimated prospective resources (the “Estimate”) consisting of leasehold and royalty interests in San Juan County, Utah and Miguel County. Colorado. The estimate was prepared by the Ryder Scott Company, L.P. (“Ryder Scott”), an independent qualified reserves evaluator within the meaning of N.I. 51-101 – Standards of Disclosure for Oil and Gas Activities (“NI 51-101”), with an effective date of June 30, 2017. The Estimate was prepared in accordance with N.I. 51-101 and the Canadian Oil and Gas Evaluation. The Project is proximate to Lisbon Valley oilfield which has approximately 140 wells. According to production statistics, as reported by the Utah Department of Natural Resources, Oil, Gas and Mining Division, cumulative lifetime production within the Lisbon Valley oilfield has totaled 51.4 million barrels of oil as of June 2017 (“Oil Production by Field, Utah Department of Natural Resources, Division of Oil, Gas and Mining”; June 2017; Click Here). The Paradox Basin has been noted by the USGS as having one of the largest undeveloped oil and gas fields in the United States (“Assessment of Oil and Gas Resources in the Paradox Basin Province…”; USGS; 2011; Click Here).